Nestled in cottage country on a dirt road, the farm is inviting, expansive and quiet. 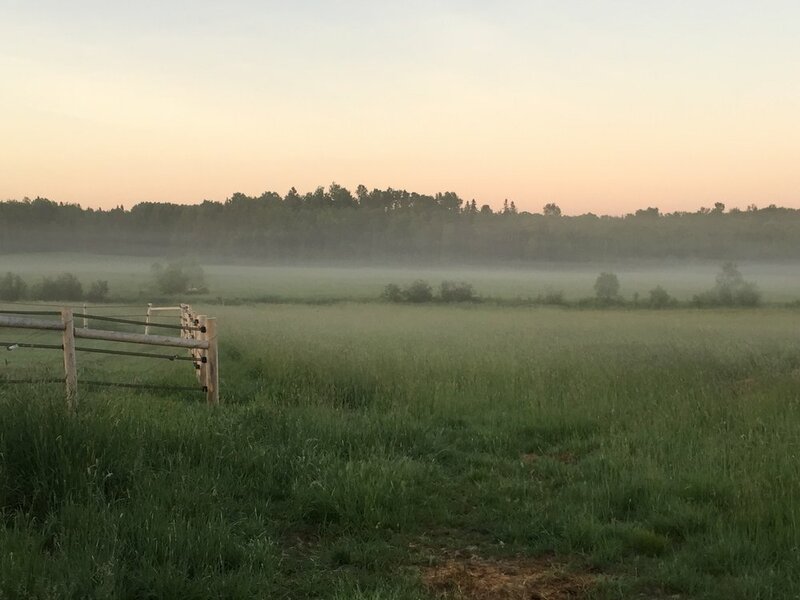 Located in Muskoka North, Ontario, Carmen and her husband, Aquila, have been grateful stewards of the land since 2015. Read more about the farm, how it came to be and some of the transformations it has gone through in Carmen's blog. Equine Facilitated Learning (EFL) is an innovative approach to developing social and emotional fitness through non-riding experiences with horses. Learning to work directly with horses in ways that encourage mutual respect, connection and clarity, give a depth of understanding and embodiment of concepts far beyond the "normal" parameters of education. Flurry working with an EFL student. Horses being incredibly intuitive, sensitive and authentic, add their own layer of teaching to the themes that True Presence Horse Sense offers. They can have a transformative effect on those who interact with them, especially in the context of EFL. Book a session or workshop with Carmen and her horses to discover EFL for yourself.